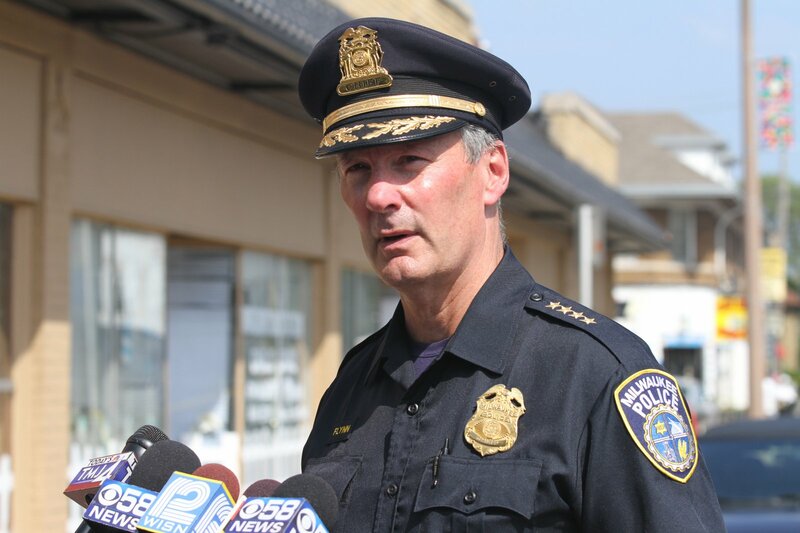 Today’s story is about another Edward Flynn—Milwaukee’s current police chief—who also seems to be more politician than patrolman ... the guy who’s always there at the press conference with his uniform, his medals, his gold stars and his scrambled eggs, who always gets quoted by the press because he always has a soundbite and a scapegoat to blame when crime goes up. The truth—and Chief Flynn knows it—is that under Wisconsin’s concealed-carry law, signed as Act 35 by Gov. Scott Walker in 2011, applicants for a Wisconsin carry license undergo a detailed background check. And if they can’t pass that criminal background check—they don’t get their permits. They don’t get a permit if they’ve been convicted—in some cases, even accused—of a wide variety of offenses, some serious, some not-so-serious. They don’t get a permit if they have a history of mental health issues. They don’t get a permit if they’re subject to a domestic violence or abuse restraining order. And they don’t get a permit if they’ve been dishonorably discharged from the military, if they use illegal drugs, if they’re illegal aliens, if they’ve ever renounced their U.S. citizenship, and if they fall under any of several other classes of “prohibited persons” under federal law.… if Chief Flynn knows they have “extensive criminal records,” why isn’t he arresting them and putting them in jail? So the question for Chief Flynn is this: How, exactly are these criminals getting their concealed-carry permits? Is the FBI’s National Instant Criminal Background Check System (NICS) not working? If the FBI doesn’t know someone has an “extensive criminal record” ... and the Wisconsin state police don’t know someone has an “extensive criminal record”—then how does Chief Flynn supposedly know that “many” have “extensive criminal records”? And exactly how many concealed-carry permit holders is “many” in Chief Flynn’s estimation? Ten? 100? 1,000? According to Wisconsin Attorney General Brad Schimel, the law has not presented any problem. “I’m not aware of evidence of statistical significance that there are people who gain a permit who are committing crime with guns,” Schimel said. Indeed, according to the Wisconsin Department of Justice—which releases annual reports detailing the number of carry permits issued, the number of applications denied, and the numbers of permits suspended or revoked—the impact of the 2011 Right-to-Carry law is virtually impossible to quantify yet. Less than one-half of 1 percent of the permits issued have been revoked due to criminal convictions. So: Where, exactly are all these “many” concealed-carry permit holders who have “extensive criminal records,” according to Chief Flynn? And if Chief Flynn knows they have “extensive criminal records,” why isn’t he arresting them and putting them in jail? And there’s no law that stops him from arresting every one of them and putting them behind bars to protect the public, as he has sworn to do. Chief Flynn is either making it all up out of whole cloth ... or, if he’s not, then he’s guilty of dereliction of duty for not arresting these “many” concealed-carry permit holders who have “extensive criminal records” ... or the police chief was misquoted by the paper. So which is it, Chief Flynn?